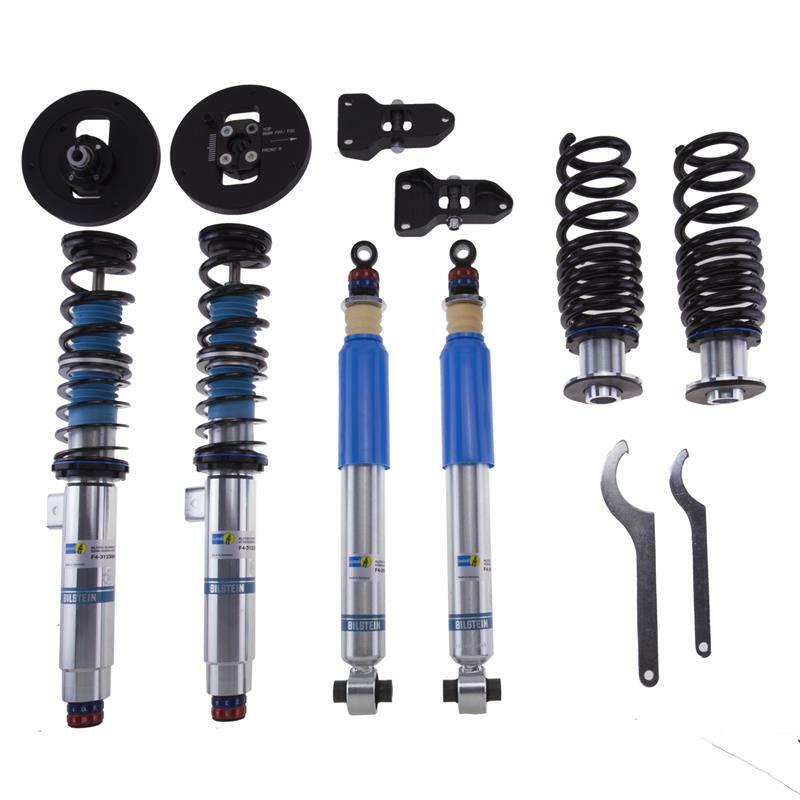 The BILSTEIN Clubsport® suspension system is a fully street-legal, TÜV-certified high-end coilover package that is also designed for uncompromising use in the fields of racing and clubsport. 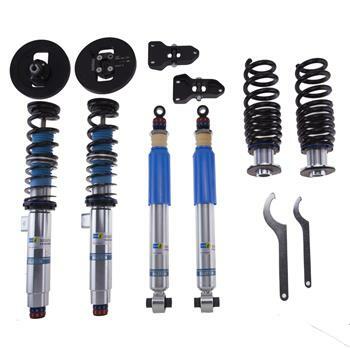 This kit combines the tried-and-tested BILSTEIN mono-tube gas pressure technology with the highest levels of engineering from the field of motor sport. The 2-way adjustable suspension system, complete with integrated reservoir, provides a significant weight advantage for racing and clubsport use compared to systems with external reservoirs. Rebound and compression forces can be adjusted independently via the two easily accessible motorsport-proven aluminum adjustment dials inside the vehicle, enabling the suspension setup to be changed quickly and accurately at all times. With 10 click positions for rebound and 10 click positions for compression, a wide range of handling options can be selected in just seconds, allowing for instant back-to-back set-up modification and testing. The combination of adjustable wheel camber and ride height with the 100 possible valving settings, make it possible to fine-tune the suspension setup based on the specific racetrack, weather conditions and vehicle weight, as well as driver and tire specifications.